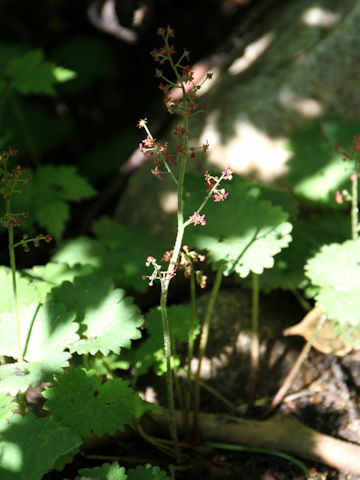 "Korokumo-so" (Saxifraga fusca ssp. 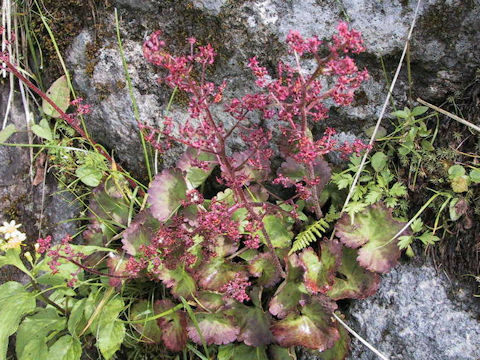 kikubuki) belongs to the Saxifragaceae (the Saxifrage family). It is a perennial herb that is distributed to Kinki district north to Tohoku district of Honshu, Shikoku and Kyushu. 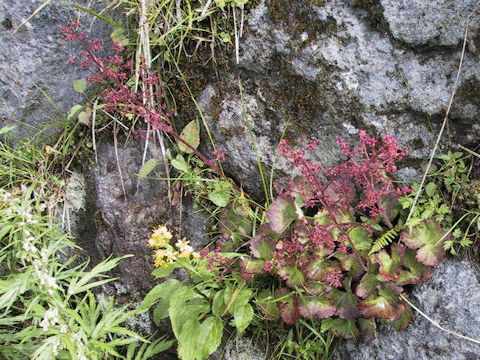 This herb grows in stream banks of deep mountains, and can reach 10-40 cm in height. The basal leaves are reniform or round with corsely notched edges and long petioles. 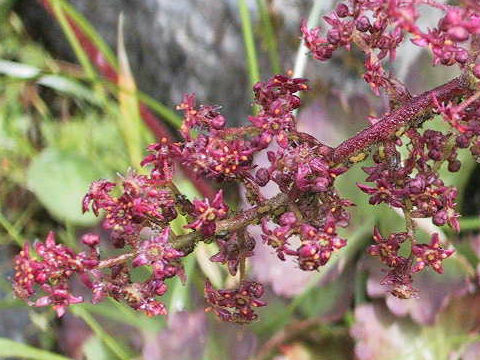 The panicles are borne atop of flowering stlaks and bloom dark purple flowers from July to August. 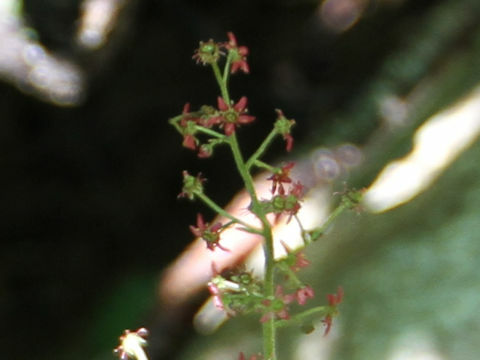 The common name is derived from its flower color. It is also called "Kiku-buki" which is derived from its leaf shape.